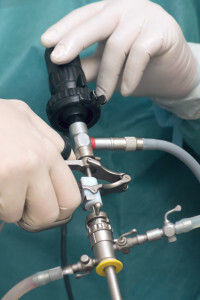 A cystoscopy is an investigation done with a rigid or flexible cystoscope or “camera”, evaluating the urethra and bladder under direct vision. This can be done under local anaesthetic, sedation or general anaesthetic. Further procedures including dilatations, biopsies, diagnostic evaluations of the upper urinary tract (retrograde pyelogram), treatments of urinary tract stones, and resections of tumours can be performed at the same time. Why would your urologist recommend a cystoscopy? A cystoscopy can be performed as a diagnostic test or as treatment for certain conditions. A mostly painless passage of the scope via the urethra, with some discomfort often experienced at the prostatic urethra / bladder neck area.